The Walking Dead game is coming to iOS! "We’ve spent a great deal of time carefully integrating our new interface design to create an even more intuitive experience with the touch screen as you explore a world ravaged by the undead based on the Eisner Award-winning comics from Robert Kirkman and Skybound Entertainment. You’ll have full character control of Lee Everett as investigation points, actions, dialogue and decision making flows onscreen and is seamlessly integrated with the environments." 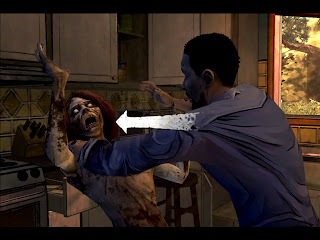 The Walking Dead game will run on iPad 2, the new iPad, iPhone 4, iPhone 4S, and 4th Generation iPods.